The world of Lebanese-Canadian rock quartet LAZZY LUNG is an intriguing and wonderful one, indeed. 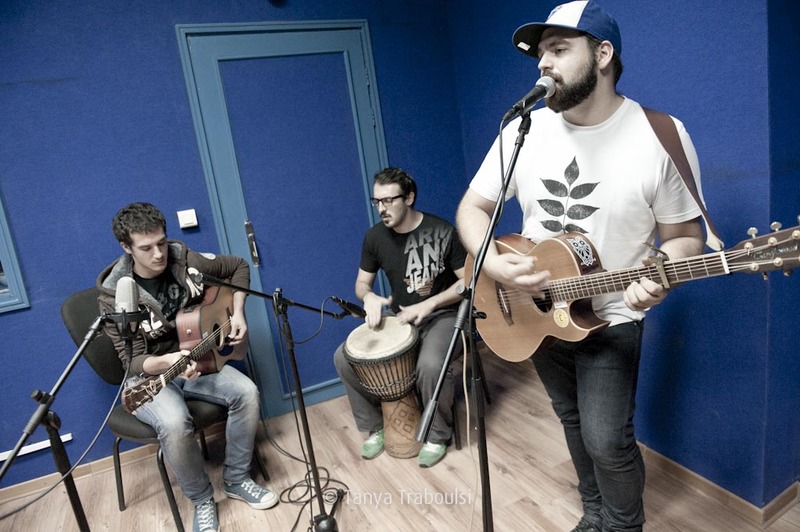 The band took the studios of Radio Lebanon by storm on October 11, and spoke at length about the recording of its first album, “Strange Places”. Singer & guitar player Allan Chaaraoui, guitarist Patrick Hanna and percussionist Hadi Oueini (bass player Imad was missing in action that night) also performed several songs from “Strange Places”, live in Radio Lebanon’s studio.